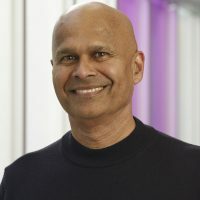 Dr. Kissoon is Past President of the World Federation of Pediatric Intensive and Critical Care Societies (WFPICCS); Vice-President, Medical Affairs at British Columbia (BC) Children’s Hospital and Professor, Pediatric and Surgery at the University of British Columbia (UBC) in Vancouver, Canada. He holds the UBC BC Children’s Hospital Endowed Chair in Acute and Critical Care for Global Child Health, is Vice Chair, Global Alliance for Sepsis (GSA), co-Chair, World Sepsis Day, International Pediatric Sepsis Initiative, and the Pediatric Surviving Sepsis Campaign Guideline Committee. As the Vice Chair of the Global Sepsis Alliance, Dr. Kissoon has been instrumental in lobbying the World Health Assembly of the United Nations to adopt a resolution on sepsis which has recently been passed in May 2017 at the World Health Assembly. In recognition of his achievements, Dr. Kissoon was awarded the UBC Canada Distinguished Achievement Award for Overall Excellence in 2016.